As the universe is about to blink out of existence, it’s up to you and this motley crew of Battleborn to save it. Some interdimensional jackholes and a traitorous scumbag have been taking stars. Whole stars. And have left us to fight over the scraps. It’s time to take up arms and defend Solus, the very last star in the universe. 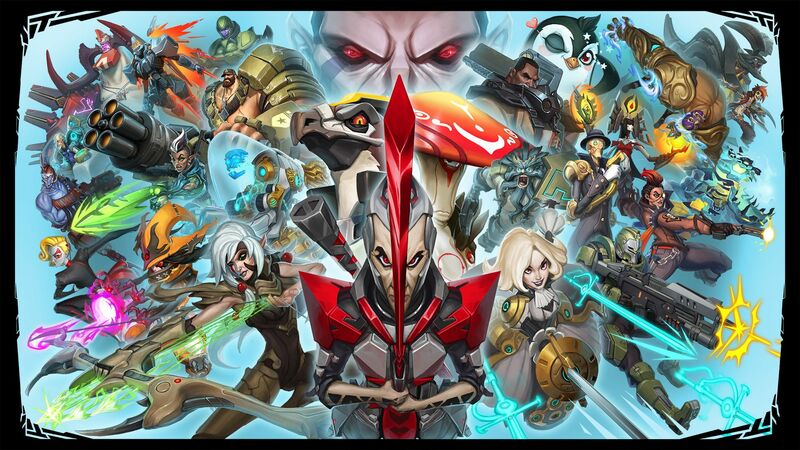 Battleborn is a first-person hero-shooter with a large starting roster of 25 unique playable heroes, which will continue to grow with five additional, free heroes after launch; an episodic-style Story Mode that can be played solo, 2-player console split-screen, or up to 5-player online co-op; and three 5v5 Competitive Multiplayer Modes: Capture, Incursion, and Meltdown. For an in-depth look at all of Battleborn’s heroes, gameplay systems, and lore, check out the Bootcamp video below. How did the fight to save the universe come down to this very last star? Check out the Battleborn Prequel Motion Comics to see how the fight to save Solus started. As we mentioned above, you can expect plenty of new content coming your way after launch. Now that we’re done creating and launching Battleborn, we’ll be able to focus on developing post-launch content. You can expect five more heroes hitting after launch – completely FREE – for all platforms, bringing the total roster to 30! In addition, competitive multiplayer modes, maps, balance updates, and community features will also be free. The first of five new heroes will be the water-wielding, healer-turned-warrior, Alani. 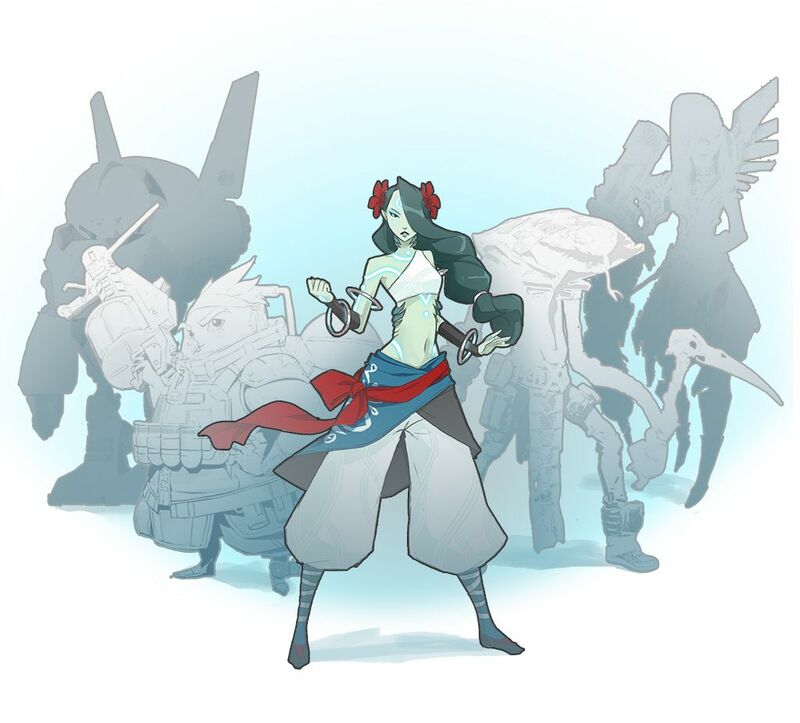 Below is some concept art of Alani as well as some hints to the other four characters. These characters are only just entering development and may change before their arrival in the Solus System. Battleborn has a vast universe and we’re happy to say that we’ll keep expanding on it through five new add-on packs. Each pack will contain a PvE Story Operation, skins and taunts. These packs will be available individually, as well as bundled in the Season Pass and as part of the Battleborn Digital Deluxe Edition. Check out everything that is included in the Season Pass and Digital Deluxe Edition in this post. Also available today is Battleborn Tap, an all-new free mobile game for iOS and Android that allows you to experience the Battleborn universe on the go. Upgrade your heroes, earn loot, and defeat waves of enemies as you command your Battleborn in the fight to save the last star. For full details about Battleborn Tap, check out this post.